While Paris is the capital of France, many food lovers consider Lyon to be its culinary capital. Lyon is the home of culinary legend Paul Bocuse, yet France’s fourth-largest city is not only home to many Michelin-starred restaurants, but also to young chefs making outstanding, imaginative new food creations at reasonable prices in a casual atmosphere. As we get ready for the SIRHA show in Lyon, 26th – 30th January 2019, which also hosts the world-famous Bocuse D’Or international chef competition, we take a closer look at the vibrant dining scene in Lyon and see some of the top restaurants in Lyon. This two Michelin-starred restaurant unites history and gastronomy in a unique location that dates back to the 17th Century. Its location on an island in the Sâone River adds an alluring ambience of exclusivity. The kitchen serves mouthwatering French dishes that fuse culture and flavour, inspired by the distinct ingredients available each season. Wintertime in Lyon brings shellfish from the cold seas, game from the forests, poultry and of course foie gras and truffles. Presentation is a major aspect of the Auberge de I’lle experience, and both the plates and the interior will inspire the diner with their aesthetics. Les Loges is located within the stunning Cour des Loges Hotel, a grandiose accommodation that combines architecture styles from the 14th, 16th and 17th centuries. The restaurant sits in the centre of a Florentine courtyard and is sheltered by a contemporary glass and steel ceiling, while the walls are decorated with beautiful artefacts and artworks. 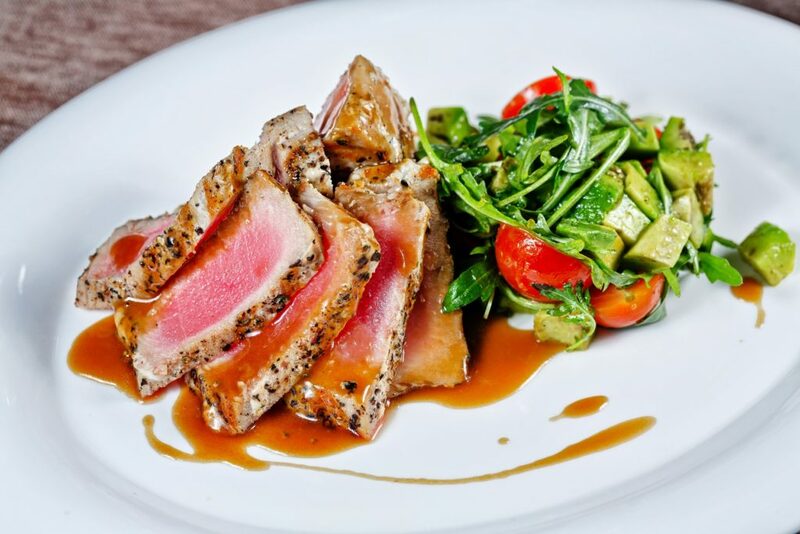 Magnificent French cuisine is served here, such as duck foie gras with onions and hélianthis cooked in an orange sauce, codfish from Brittany with seasonal vegetables and milk-fed lamb served with stuffed seasonal vegetables. 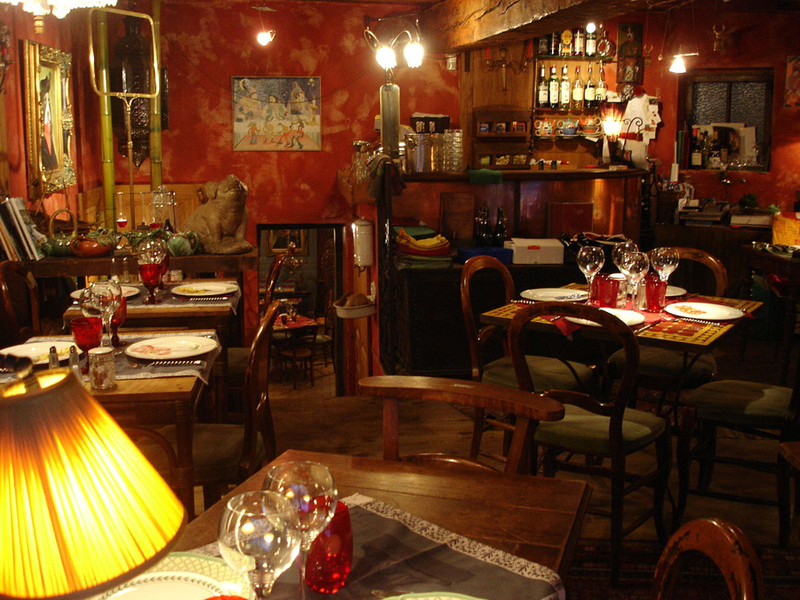 As its name suggests (‘jewelry’ in English), La Bijouterie is a jewel in Lyon for casual diners looking for excellent cuisine at a fair price. With an Asian flair, lunch clocks in at just €16 for two dim sum plates, salad or soup plus sticky rice wrapped in a banana leaf. Hungrier diners can add an additional dim sum plate and coffee for an additional €4. Dessert is an additional option, also reasonably priced. The mushroom dumplings with a black bean and mushroom broth are must-tries, as is Shrimp Har Gow. Dinner at La Bijouterie is a much grander affair featuring dishes like barbecue pork shoulder with skate wings, spelt and chanterelle mushrooms. Awarded its third Michelin star in 1965 – one of very few in the world to be bestowed this great honour – the famous Lyon restaurant is a site to be seen in all its opulent glory. Taste the famous chef’s signature dishes of black truffle soup and Bresse chicken cooked in a bladder à la Mère Filliou. 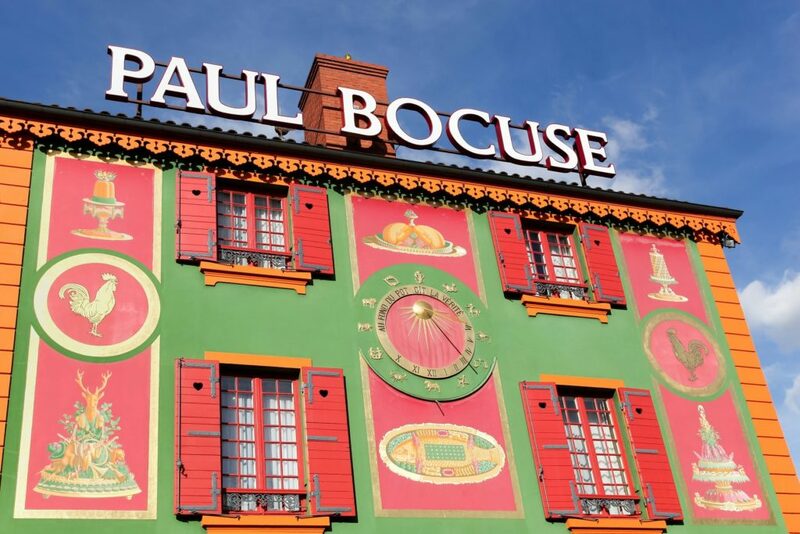 And even if you don’t dine at the famous Paul Bocuse restaurant, it’s still worth a visit to the best restaurant in Lyon to check out the colourfully-decorated murals of famous chef inside the ornate building. This charming and satisfying women-owned and managed restaurant offers a textbook but “light” version of the city’s traditional dishes. Compared to other ‘bouchons’—the name for a restaurant that serves traditional Lyonnaise cuisine including sausages, duck pâté or roast pork – portions are scaled back and the dishes, while by no means spa food (lentil salad is spiked with sausage; cabbage salad is spiked with smoked fish), are still satisfying. It’s the perfect place to get a taste of the local cuisine while still allowing room for more contemporary culinary exploration. Legendary food aside, Lyon is also the birthplace of cinema and was once a leader in the silk trade. You’ll find one of Europe’s oldest and most expansive Renaissance districts here, where a stroll through the narrow cobbled passageways of Vieux Lyon is a must, as well as France’s largest urban park, Parc de la Tête d’Or. Enjoy all that Lyon has to offer during your upcoming visit to the SIRHA show and don’t forget to stop by True’s stand in Hall 5, Stand E70.